Note: I am no longer posting reviews to my personal site. They will only be posted to Goodreads and any platform on which they are sold. – I accept self-published/indie requests as well as those from more well-known established publishers. – I take submissions in all formats including EPUB, PDF, mobi, and physical copies though I will not pay for shipping. That being said mobi is the easiest for me to work. – If the book is an ARC, I will try to publish my review on or as near to the release date as I can. Otherwise, unless given a specific deadline, I will post a review as soon as I am able. 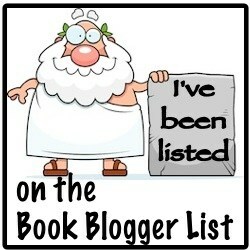 -Be aware that not all the books I review will be posted on my blog. That being said, I will always post to at least Amazon and Goodreads. – Be advised that each review is my honest opinion and thus has the potential to be negative. I will never intentionally be malicious but will not shy away from problems I had with a book. Be aware that if you send me a complimentary copy of a book for an honest review, that does not guarantee a positive or glowing review. It is an ARC, I will hold off any negative reviews until after release day so as to not negatively affect its release. If you cannot take constructive criticism, please do not ask me to review your book. – I also reserve the right to decline a review offer for various reasons. It could be something as basic as I simply do not have the time. The books featured/reviewed on my blog were either purchased by me or given to me by the publisher/author/publicist. This in no way influences my reviews which are my honest opinions and I received no payment/compensation for my reviews.